Our Association has been built through the strength of our members and their dedication to grassroots advocacy. To that end, we openly engage in political activity including the endorsement of candidates for public office at all levels of government. Our only criteria is candidate's record when it comes to public retirees. It is our unwavering policy to stand with those who support retired public employees and survivors. We do so regardless of party affiliation. MassRetirees’ first met Treasurer Deb Goldberg in 1998, when she was a newly elected selectman in the Town of Brookline. At that time, we were in the midst of a state-wide effort for local acceptance of Chapter 17, Acts of 1997 – the landmark COLA reform law. While the 1997 law has proven to be a tremendous success, in the spring of 1998 it was met with great opposition by some municipal officials who rejected the idea of cities and towns accepting local responsibly for future COLAs. Brookline was the epicenter of opposition – that is until Deb Goldberg took on the issue. Within days of being sworn in as a selectman, Goldberg was briefed on the issue by Brookline retirees. Not being satisfied with the response she received from town officials as to why they opposed the COLA law, Deb’s next call was to meet with Mass Retireesat Brookline Town Hall. A quick study and determined, Deb mustered the votes to adopt the law in Brookline. Some ten years later, she again came to the assistance of her local retirees when the town meeting was lined up to oppose a modest increase in the COLA base. After Deb spoke on the merits of the increase, and the measure passed town meeting with little opposition. Twenty years after our first experience in working with Deb Goldberg, Mass Retireesenthusiastically endorses her reelection as State Treasurer. Throughout her first term, Deb has ensured that public retirees are not forgotten and public pension assets are well protected. She chairs the Pension Reserves Investment Management (PRIM) Board and the State Retirement Board, as well as holds a seat on the Teachers’ Retirement Board – three positions of great importance to public retirees. Deb’s work has helped make our pension funds more secure, by diversifying assets to better protect against market downturns. And during her tenure the Commonwealth’s PRIT Fund has outperformed its benchmarks ensuring the fund’s long-term sustainability. Deb Goldberg has also transformed the office of the State Treasurer by focusing on the issues of Economic Empowerment, Economic Security, and Economic Stability for everyone. Most importantly, Deb Goldberg shares our values and has a proven record of putting public retirees first. She has achieved what she promised and has earned our endorsement for reelection as our State Treasurer. Few, if any, current elected officials have a closer relationship or history of support of Mass Retireesthan Congressman William Keating. As a freshman State Representative, a young Bill Keating formed an immediate bond with then Mass RetireesPresident Ralph White that has grown steadily stronger over the ensuing years. Keating took an interest in learning about the pension and healthcare issues that are of utmost importance to public retirees. Our working relationship with Bill Keating continued into his tenure as a State Senator, as well as Norfolk County District Attorney. Bill has always stepped up and made the interests of public retirees a top priority. Mass Retireeswas among the very first groups to endorse Bill’s first campaign for Congress and we have stuck by his side ever since. 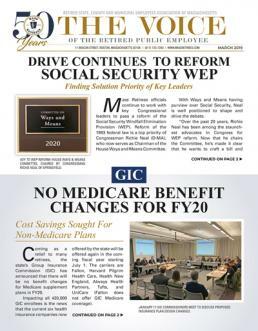 In Congress, he has made ending the Social Security WEP and GPO a top priority. We know that the only way those issues will ever be resolved is by gaining the support of Congressmen from across the country. Thankfully we have representatives like Bill Keating, who know the facts and are willing to do the work needed to build a national network of support for WEP and GPO reform. 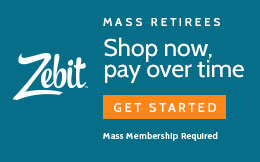 Another important fact is that Bill Keating is also a proud member of Mass Retirees. He remembers where he came from and makes sure your priorities are his own. For example, when widows, already hurt financially by the GPO Law, were going to be hit with huge increases in their Medicare premiums, Bill Keating took on the challenge to provide them with needed relief. And when it’s being proposed that the Social Security COLA formula should be amended with the clear intent of reducing any benefit increase, he has been at the forefront to oppose any such negative change. Standing as always with our friends, Mass Retireeswholeheartedly endorses Congressman Keating’s reelection in the 9th Congressional District. Of the six state-wide or “Constitutional Officers” in Massachusetts, Mass Retireesmost directly interacts with the State Treasurer and Governor. However, the Secretary of State, Attorney General and State Auditor also carry out important duties that intersect with and impact public retirees. Secretary of State Bill Galvin has long been a friend and ally of Mass Retirees. As Secretary of State Bill Galvin has a strong record of regulating the financial securities industry, as well as enforcing the public records law. These actions not only protect retirees from fraud, but also ensure the transparent functions of government. Completing her first term as an elected official, Attorney General Maura Healey is viewed by many as a rising star in Massachusetts politics. She has quickly become a staunch supporter of public retirees. As AG, Healey plays a direct role in regulating the state’s giant healthcare industry. She has also played an important role in ensuring that state agencies, such as the GIC, follow the open meeting and public records laws. See more on page 10. Next to the State Treasurer, Auditor Suzanne Bump plays a direct daily role in public retirement policy and administration. By statute, the Auditor holds three seats on the Public Employee Retirement Administration Commission (PERAC) and a seat on the Teachers’ Retirement Board. It is Bump’s role at PERAC, the retirement oversight agency, which is of vital importance to public retirees. During Bump’s two-terms, PERAC has run smoothly and is viewed as a national model. Mass Retirees enthusiastically endorses Bill Galvin, Maura Healey and Suzanne Bump for reelection. We urge our members to consider casting your vote in their favor.